Mother Teresa once said, “If you can’t feed a hundred people, then feed just one.” So many people focus on the national issue of hunger, and they don’t realize the impact they can make right in their hometowns. 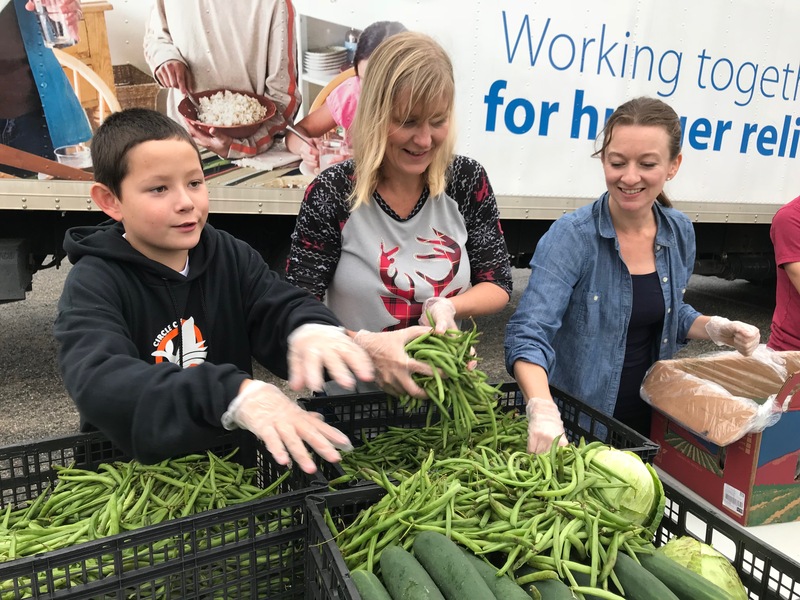 Each year, Souper Bowl of Caring calls on groups across the country to take an active role in the fight against hunger in their own communities. The hope is to use the anticipation and excitement of the big game to get more people involved. Souper Bowl of Caring encourages groups to officially register their drive. This way they can see how many groups are doing good for their communities. Visit their website to register your group, and be sure to choose which charity you are supporting (hopefully us). Don’t forget to log all the food and funds you have collected. Cash or checks are not sent to Souper Bowl of Caring, but they do want to know the impact of the drive. Make sure all checks are made out to your charity of choice (Hays County Food Bank), and you can either deliver your donations or mail them at the end. We’d love for you to stop by and see our operations, or even volunteer! Be sure to take photos and share them on social media. If we see them, we will share them. Tag us @haysfoodbank on Facebook, Twitter, and/or Instagram. If people see how much fun you’re having, they may be inspired to give themselves! 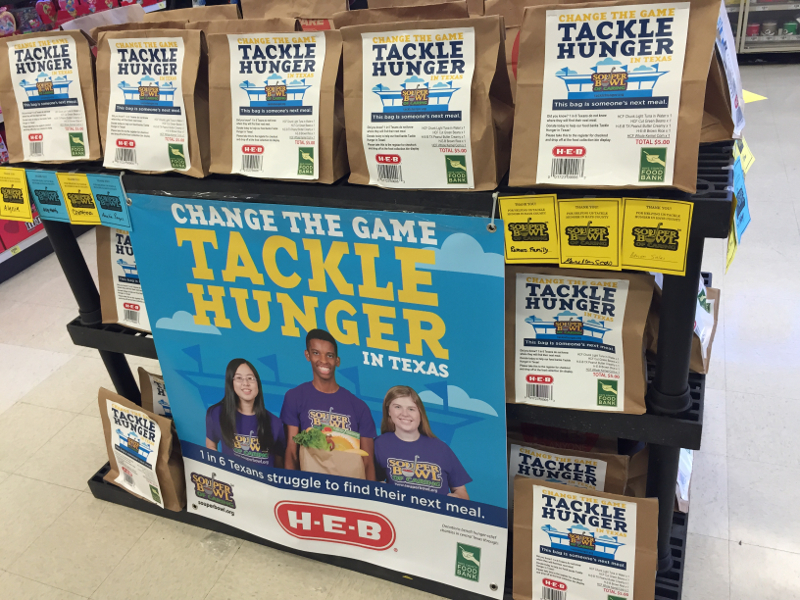 H-E-B believes in giving back. 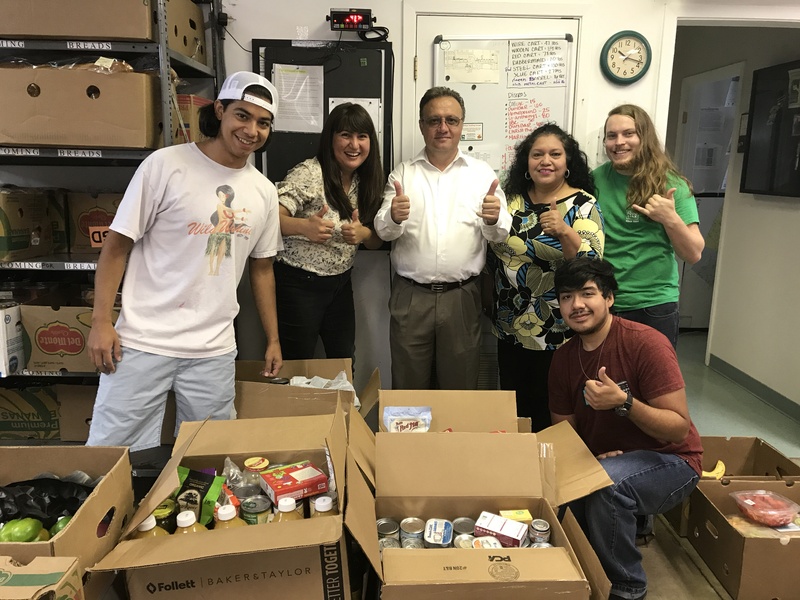 Each year, they partner with Souper Bowl of Caring to offer an easy way for communities in their areas to give back. Customers can make a donation at the register in the form of a tear-off tab or as a bag of pre-chosen food items. Hays County Food Bank will receive the donations from both stores in San Marcos. We hope that you will participate in this national drive to tackle hunger. Set a goal and raise $200 and collect 200 pounds of food. This can help provide 50 meals and feed 10 households for one week. Just imagine if 20 groups did this; we could provide 1,000 meals and feed 200 households for one week! The more people who act, the bigger the impact!